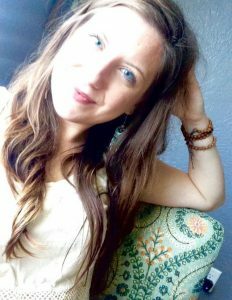 Ashley LaBier is a certified Life Coach and 200-hour Certified yoga instructor. She has over four years experience in Behavioral health, a Bachelor’s Degree in psychology and working on a Masters in Science, Human Services. She is the owner and Founder of Infinite Transcendence, which was established in January of 2017. Redefine who you truly are. With Infinite Transcendence, a Life Coaching practice, you will learn tools on how to come back to who you innately were born to be, a true experience of coming back to yourself. Boost your self-confidence, self-love, self-compassion and acceptance by learning various methods that can be utilized in everyday life. Infinite Transcendence Mission is to serve others while they are going through transitional phases, Awakenings, and realization of self-actualization. It is our goal to help others Transcend beyond normal expectations and to reach a higher level of awareness. In the future, Infinite Transcendence will employ other Holistic Practitioners, to better serve clients during their transformation, by utilizing various modalities such as, Reiki, Polarity, Massage Therapy, Hypnotherapy and Nutrition.